Because diamonds are a girl's best friend. Would you be interested in putting on contact lenses that have diamonds in them? Because eye bling is something you can actually buy in India. 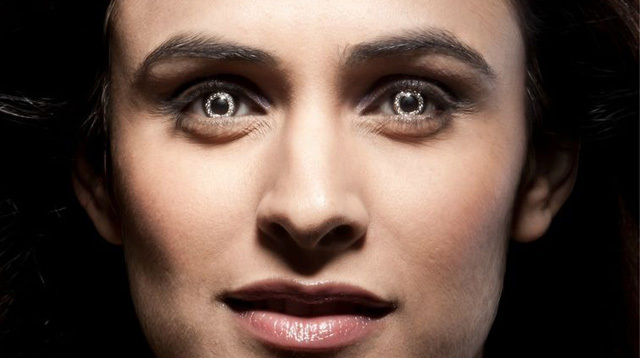 Dr. Chandrashekhar Chawan of India’s Shekhar Eye Research Center is now selling fancy new eye jewelry called "La Ser.” Dr. Chawan decided to make the gold-plated contact lenses, after he was inspired by his wife’s bejeweled teeth. The lenses—which are worn mainly by Bollywood actors and actresses—retail for about $15,000. It sounds crazy, not to mention totally unsafe. But Dr. Chawan promises that having diamonds in your contact lenses isn’t a big deal, since the gems will be attached far away from the cornea. Still. The lenses look scary when worn. And we prefer to wear diamonds around our neck, thank you very much.